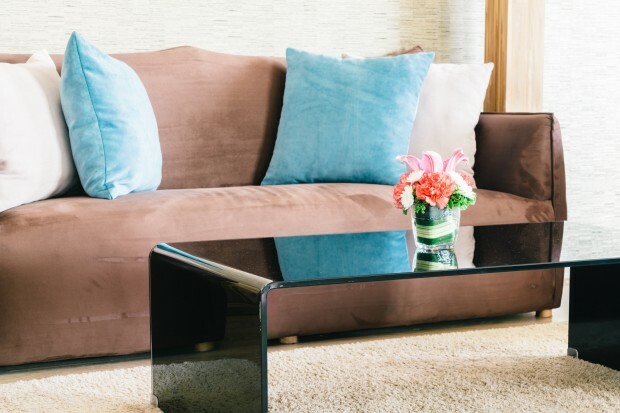 It’s almost time for your yearly spring refresh, and whether you’re swapping out your seasonal wardrobe or sprucing up a winter-dreary home, now is the perfect opportunity to take a hard look at your stuff. With today’s rapid speed of consumption—whether caused by the rise of fast fashion, tech devices that quickly become outdated, or a good old case of Keeping Up With the Joneses—the sheer amount of stuff taking over your space can be overwhelming. What’s more, studies suggest that household clutter actually boosts levels of cortisol, otherwise known as the stress hormone. 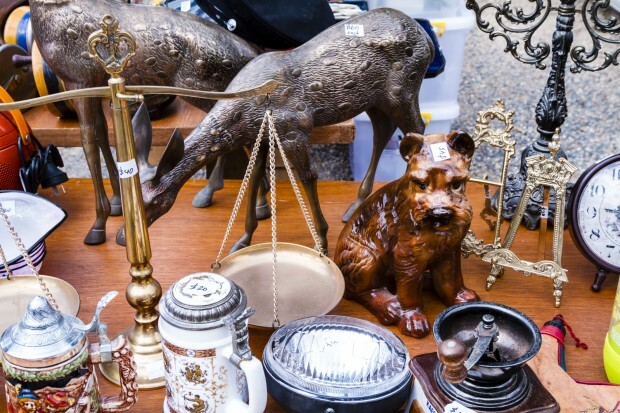 But before you haul out the garbage bags and get your Marie Kondo on, consider that some of your unused stuff could snag you big bucks—if you know how to sell it. We tapped online selling expert Jordan Malikfor insider tips on how you can turn your unwanted clutter into serious cash. After all, one man’s trash is another man’s treasure, right? Read on for six apps that can help make sure your annual spring clean yields not only more space—but also more green. From comic books to sporting goods to musical instruments, Carousell accepts all kinds of items to be sold via the site. It’s also completely free of listing and commission fees for both buyer and seller and gives you total control over your preferred method of payment. The app’s snap-list-sell approach takes the hassle out of the mobile marketplace while also letting you chat directly with buyers, making it ideal if you prefer arranging in-person swaps. Malik has just one word of warning. “Carousell’s app tends to be a little buggy, so you may get quicker results using their website,” he says. Extra tip: Be sure not to zip through the photo-taking process too quickly. As it goes for all online selling opportunities, Malik says that having a solid photo is absolutely essential to moving your unwanted stuff. To make sure your items stand out from the pack, snap your products using full lighting (preferably outdoors) and from several different angles. If you’re like most people, your closet is overflowing with impulse buys. But if you’re only wearing 20% of your clothes most of the time, a good chunk of your wardrobe likely never sees the light of day. Tradesy is a popular place to sell outfits and accessories that have fallen out of your rotation. The service has more than 3.8 million registered users and has received millions in investor funding since the company’s beginnings in 2012. “It’s for designer women’s fashion only, and it’s one of the easiest apps to use, with many eager, attentive buyers,” says Malik. But keep in mind that it’s not without a price. Listing your item is free, but the app takes 9% of your sale before depositing the funds into your account. Even so, Malik says there are benefits offered by the company that may make the cut worth it to you. For starters, sellers are supplied with free shipping boxes once an item is sold, meaning you don’t have to worry about shelling out for pricey postage. “They also help surmount cart abandonment by offering financing for those pricier fashion items, and by offering returns, which are sent right to Tradesy,” Malik says. That means even if your item is returned, you get to keep your earned amount as long as it was accurately portrayed in the description and photographs. Another thing worth mentioning is that, unlike catchall sites like Craigslist, buyers typically don’t expect screaming bargains. “Tradesy sellers, who get help pricing their items from Tradesy themselves, are savvy and hip to the real value of those in-demand fashions,” Malik says. Extra perk: The company’s in-house design team evaluates your images, and “even if your photos are meh, Tradesy will enhance them for you,” Malik says. Fashion-conscious parents on a budget flock to Kidizen, which focuses on upscale kids’ clothing. The app allows you to create your own digital boutique, which users can easily browse. 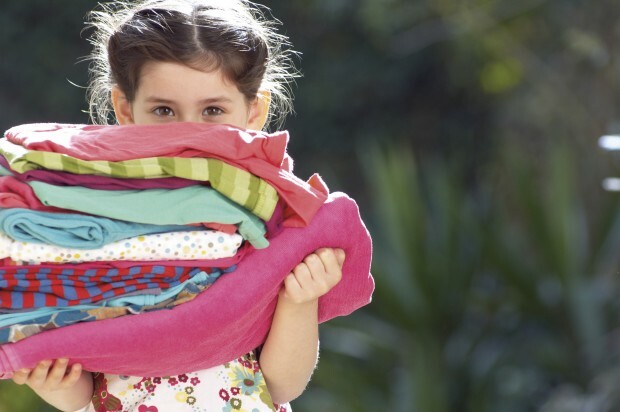 “If a buyer likes your product selection, they can ‘follow’ you, and they’ll have an incentive because as your kids outgrow their closet, your buyer will be eager to find out what’s next for sale from you,” Malik says. While easy to use, sellers are limited to the app—there’s no desktop version. Kidizen also takes a cut of the selling price, which varies depending on whether you use certain available services. It charges 18% of the list price if you use its prepaid shipping labels and to cover PayPal fees. If you choose to handle your own shipping costs, labels and PayPal charges, Kidizen keeps only 7% of the entire transaction amount. Extra tip: If you’re selling more economical brands like Gap, Old Navy, Oshkosh, JCPenney and the like, consider bundling your items together into outfits or multiple pieces within a single purchase. This way they’re easier to list and appeal to buyers looking to get more bang for their buck. Plus, you’ll eliminate your clutter quicker this way—win-win! Also remember that parents tend to shop for their kids ahead of time, so estimate that your sales window will be about three months leading up to the next season. Translation: Start listing your summer merchandise around spring. While the items on sale via OfferUp cover a wide spectrum (such as jewelry, mattresses and even cars), it’s especially handy for selling your preloved furniture and appliances. “OfferUp is becoming a faster and more user-friendly app than Craigslist, and buyers can use the app or browse on their computer,” says Malik. Like Craigslist, this platform is meant for in-person exchanges—but has security features to provide a better sense of a buyer’s or seller’s reputation. For example, the site’s TruYou feature allows users to securely scan a photo ID to validate that their offline identity matches their online profile. TruYou members’ items are then designated with a special badge of authenticity. You can also connect your OfferUp profile with your Facebook account to see if you have any real-life mutual friends with another user. Extra tip: If you’d rather focus specifically on home goods, Chairish (available oniOS) might be more up your alley. Fine furniture, rugs and home decor take center stage here, drawing design mavens looking to spruce up their space. “Chairish even offers ‘White Glove’ moving services from you to the buyer for local transactions, or buyers can pick up direct from you for free,” says Malik. An enthusiastic round of spring cleaning usually uncovers old gaming systems and long-forgotten cellphones. If you want to turn that electronic clutter into cold, hard cash, consider Gazelle. “Gazelle is one of the oldest and most trusted exchanges for the latest Apple and other major brand gadgets,” says Malik. Instead of you selling your item directly to another person, you are selling to Gazelle. The company provides a quote after assessing the value of your item based on make, model and condition. From there, it sends you a free prepaid shipping label in exchange for your gadget. If it passes the sniff test (as in, it’s in good condition), Gazelle will pay you for it. While Gazelle has yet to implement a smartphone app, the website application gets the job done all the same. Extra perk: Gazelle knows that there’s plenty of competition vying for your business, from electronics retailers to other online services. Therefore, Malik points out, the service maintains its edge by offering payouts as good as or better than many of its competitors. 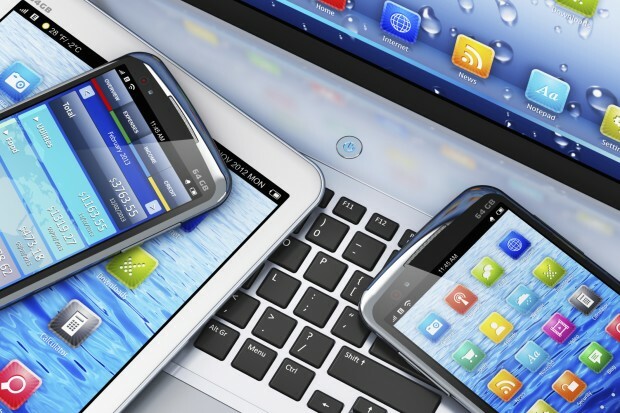 While you might be able to resell your phone at a higher price on sites like eBay or Amazon, using Gazelle can mean eliminating the time needed to create a user account, list your gadget and coordinate a transaction directly with a buyer.